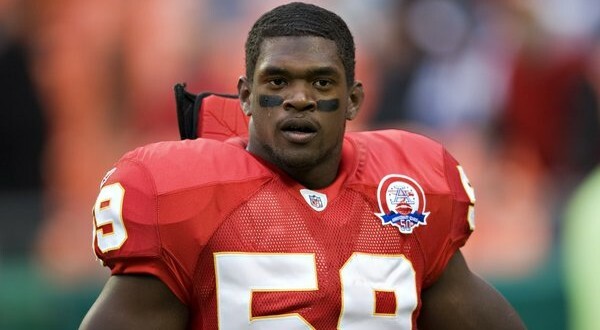 The family of former Kansas City Chiefs linebacker Jovan Belcher, who shot and killed his girlfriend before taking his own life, is having his body exhumed, the Kansas City Star reported. Family attorney Dirk Vandever told the newspaper Friday that the family hopes having Belcher’s brain examined will reveal answers as to why he shot Kasandra Perkins nine times before turning the gun on himself. On December 1, 2012, Belcher shot the 22-year-old Perkins 9 times at the home they shared in Kansas City and then drove to the Chiefs’ practice facility where he fatally shot himself in front of the team’s then-head coach Romeo Crennel and then-General Manager Scott Pioli. The couple had a 3-month old daughter.